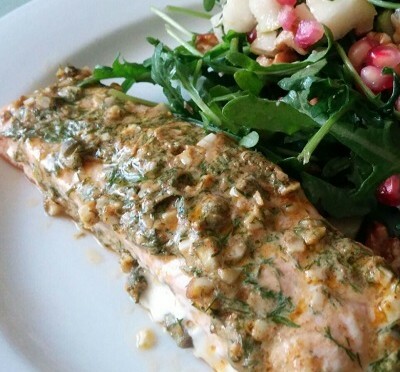 You will be pleasantly amazed with this delicious baked salmon recipe. The taste of fresh dill complimented by Dijon mustard and a little "kick" of cayenne pepper will please everyone. A great variation to prepare salmon. If you don't have fresh dill you can substitute with 1 tsp of dried dill.